ic! berlin is an eyewear company known for their innovative no screw hinge design, creative use of frame materials and irreverent marketing materials. ic! 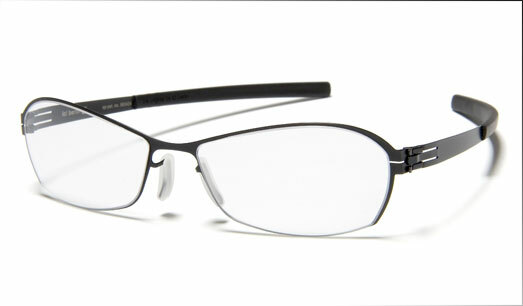 berlin frames are lightweight and flexible and all models are available in several colors. Their style is edgy and urban (the sunglass styles tend to be less edgy than the eyeglasses), but the technology associated with their patented hinge is sophisticated in its simplicity. In five years of experience with ic! berlin, InnerVision has yet to see one pair of frames break. That’s incredible! Innervision Eyewear has brought Philadelphia, PA the finest in the world's exclusive eyewear including ic! berlin eyewear. With its premier location in Rittenhouse Square, the Innervision Eyewear store carries the latest collection of ic! berlin eyewear and ic! berlin eyeglasses frames. In eyewear, exclusive brands such as ic! berlin, set the standards for style & quality in their exclusive eyewear, exclusive sunglasses, exclusive eyeglasses and exclusive frames. Companies like ic! berlin conceive the brand, develop its design, partake in the manufacturing, and create and implement the marketing.